Target Visitors by URL, Source and more! Digioh makes it easy to launch lightbox pop up forms. On average clients see a 500% increase in lead growth in the first 7-days. Integrated with SendGrid. Easily design brand compliant forms that match your website (or let us do it for you!) Use our drag and drop editor to make changes at anytime. Upload your custom fonts, CSS, colors and more. 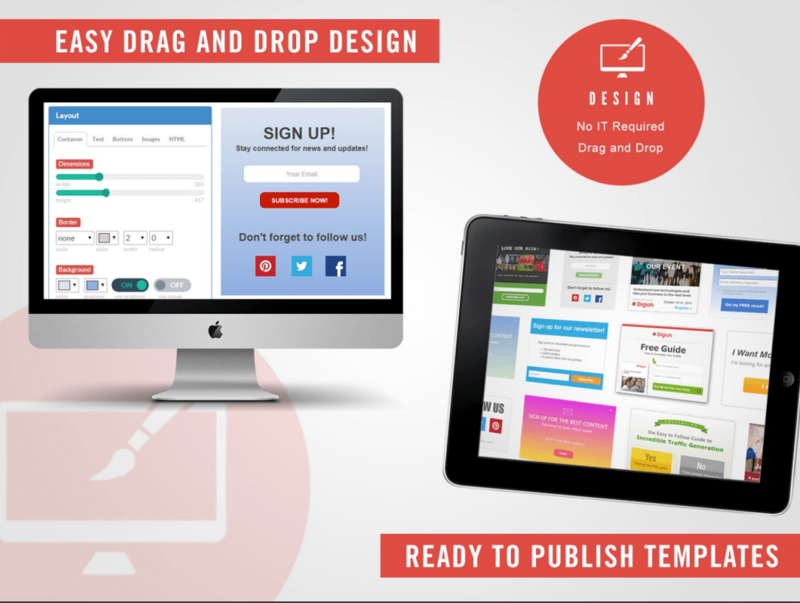 Drag and Drop Tools to match your brand!